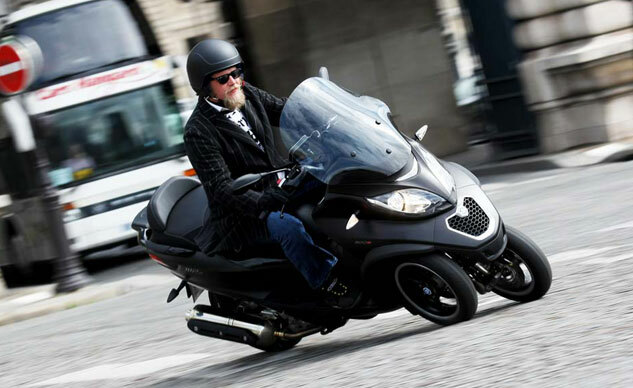 Piaggio‘s MP3 has been one of the most distinctive motor vehicles of the past decade, using two wheels up front, but able to lean like a true motorcycle. And it’s attracted an amazingly large fan base. The Italian company says it has sold 150,000 MP3s since the model line’s introduction in 2007. And with more than 12,000 of them sold in France, it was only natural for Piaggio to launch its latest 500cc high-tech version in Paris. Paris is in fact, the world leader for three-wheeled scooters. You can’t go anywhere without seeing one. The new and longer seat is superbly comfortable, and underneath it boasts more space than ever. 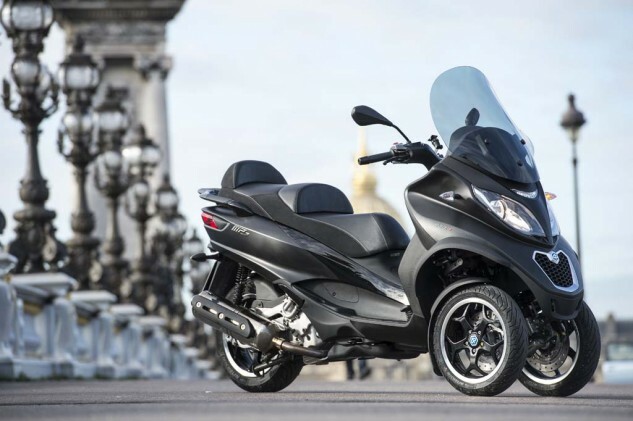 Piaggio have eliminated the thin wall separating two compartments and made them into one large one. This easily accommodates two full-faced helmets. ABS/ASR works better on the MP3 than on any other scooter/motorcycle I have tested, and that’s because of the third wheel. It’s virtually impossible to lose grip from the two front tires, and the traction control takes care of the single rear wheel. Fantastic stuff. In some countries, the MP3 can be ridden with a car license. Car drivers need not worry because the MP3 is really easy to ride and nearly idiot-proof with its many safety features. 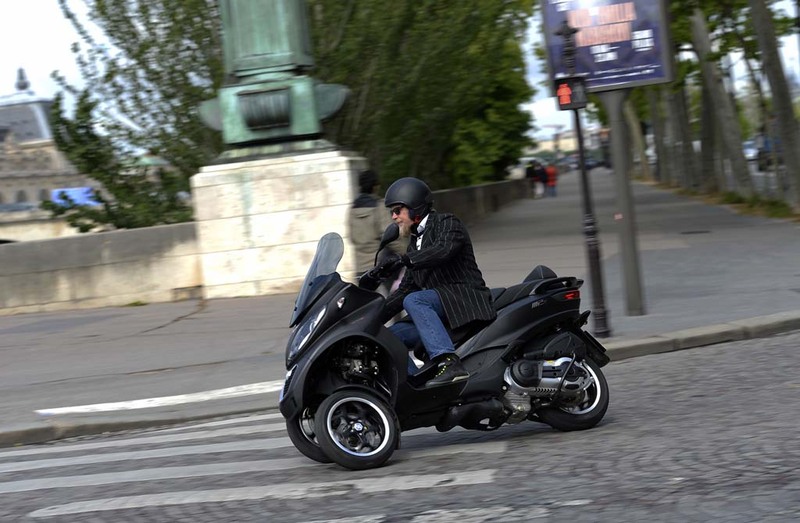 Review and video of the 2008 Piaggio MP3 500 i.e. A relatively powerful engine pushes you as the automatic drive is delivered to the rear wheel only. Full lean on wet cobalt roads was especially impressive, as the MP3 does this much better than any motorcycle or scooter. All the details will be revealed in our full ride review you’ll see in the next few days.